Subject: Are Penny Stocks Good Investments in 2017? Are penny stocks good for your portfolio this year? The answer to that question depends on what type of investor you are. 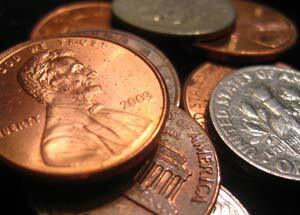 Penny stocks are public companies that trade for less than $5 per share. Their cheap share price makes it possible for investors to see triple- or even quadruple-digit gains in a matter of weeks. Take Zosano Pharma Corp. (Nasdaq: ZSAN), for example. This penny stock soared 186% from $1.09 to $3.12 between Feb. 3 and Feb. 17. But most penny stocks today trade on the pink sheets or over-the-counter (OTC) markets. In other words, those companies aren't regulated by the Securities and Exchange Commission (SEC). Since they're not required to disclose their finances, investors are putting their money in firms they don't know much about. That's why penny stocks aren't for all investors. If your portfolio is strong enough to afford a certain level of risk, penny stock investing can be a quick way to earn huge returns. But even if you've just found the best penny stock to buy, it should never account for more than 2% of your investing capital. This rule is designed to protect your portfolio while also opening you up to massive gains. This 2% rule is just one of our many penny stock investing strategies. That's why today we're bringing you the two best tips for investing in penny stocks. As a bonus, we'll also show you one of Money Morning Chief Research Analyst Sid Riggs' favorite stocks to buy in 2017. Shares of this company are already up 25.7% in 2017, and Riggs – an expert at finding massive profit potential in the penny stock sector – sees shares going even higher from here. You never want to trust a company's performance if the management doesn't even trust it. The easiest way to detect that is by looking at the firm's 10-K filing. A 10-K is a company's annual summary of its financial performance. The 10-K differs from a standard annual report because the 10-K offers detailed information on the company's organizational structure. This defines the hierarchy of executives within the firm. The most important info from this part of the 10-K is executive compensation. When researching a penny stock, see if the CEO or other higher-ups are getting paid in cash instead of stock options. That's a huge red flag because it shows they're trying to quickly cash in before shares hit $0 and the firm goes bankrupt. Many small-cap companies try to boost their stock price through misleading promotions to unknowing investors. After the price is inflated, company insiders sell their shares for a huge profit and cause the investors to lose most or all of their money. These are known as "pump and dump" schemes. These misleading promotions come in many forms. They can be brochures in the mail touting "the investment opportunity of a lifetime." They can also be as simple as a phone call to your house. In fact, a popular example of a pump-and-dump scam is the misdialed phone call. This is when a stranger leaves a voicemail talking about a "hot" stock tip for a friend. The speaker pretends he or she called the wrong number when they're actually dialing the wrong number on purpose. That's because the speaker is being paid by the company to leave messages. But Riggs has made the hunt for good penny stocks easier with his newest recommendation. While this stock is more expensive than your average penny stock, he thinks it's worth the few extra bucks. It sells products in many exploding industries, such as digital media and solar energy. The firm just beat Q4 2016 earnings expectations by a huge 86%. Shares have already soared 25.7% this year, outpacing the S&P 500's 5.7% climb.